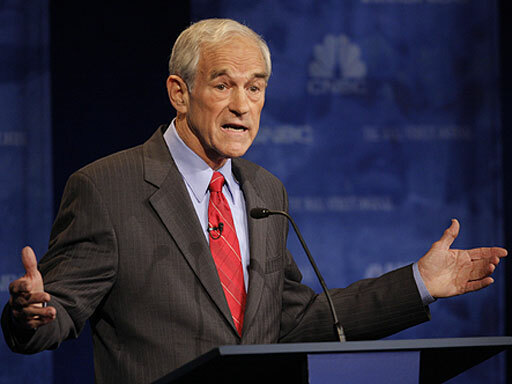 Republican Rep. Ron Paul of Texas is standing up for the founder of WikiLeaks, going against many of his Republican colleagues by defending Assange's leaks of secret American documents. In a Thursday interview with Fox Business, Paul said that Julian Assange should get the same kind of protections as the mainstream media when it comes to releasing information. "In a free society we're supposed to know the truth," Paul said. "In a society where truth becomes treason, then we're in big trouble. And now, people who are revealing the truth are getting into trouble for it." "This is media, isn't it? I mean, why don't we prosecute The New York Times or anybody that releases this?" he added. Many of Paul's Republican colleagues, as well as many Democrats, have voiced their outrage towards Assange. * Indeed, the WikiLeaks.org founder has few friends in Washington, with lawmakers lamenting the negative impact the release of the hundreds of thousands of private cables could have on national security. On Thursday, Attorney General Eric Holder said that the Justice Department is weighing whether Assange could be criminally charged for posting the documents. Paul is no stranger to unpopular stances, and has split with his parties on issues like the war in Afghanistan, the role of the Federal Reserve and America's membership in NATO. His son Rand Paul, a Republican Tea Party favorite, was elected to the Senate from Kentucky last month. *Correction: This story initially reported that Mike Huckabee had called for Assange to be tried for treason and potentially executed. That was incorrect. Huckabee was discussing the person who leaked the documents, not Assange.